We at IDX run the only PROFIBUS competence and training centre in Africa, and also develop solutions that get legacy and other non-PROFIBUS systems to talk PROFIBUS. ProfiTrace is our go-to tool before we do any testing. It guarantees that our PROFIBUS network is up and running and if it is not, it helps us to quickly diagnose any errors on the network. 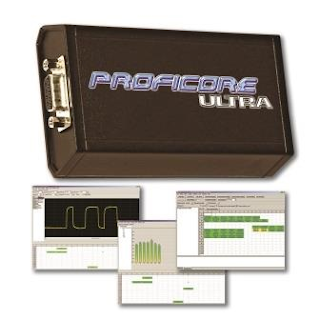 This saves us valuable development time because it means that we know that once we’ve tested our PROFIBUS network with ProfiTrace, then we can focus my time on other areas of the system. We do a lot of training and site visits and we have NEVER had to send one of our ProfiCores in for repairs. Despite all the hands that our units go though, the ProfiCores just keep working. This is a true testament to the reliability of the unit and the quality engineering that has gone into building it. The software is easy to use and PROCENTEC keep introducing new features (for free!) which makes it even more user-friendly. The live list and statistics gives the user a great overview of the network, the scope and bargraphs is an indicator of the cable integrity, termination and noise situation and the reporting tool makes it easy to show the customer how the network looked before and how it look after network corrections have been made. When we're plugged in at site, everyone there crowds around the PROFIBUS Engineer and looks in awe at all the neat waveforms and graphics. This is definitely not a tool we ever leave for site without! 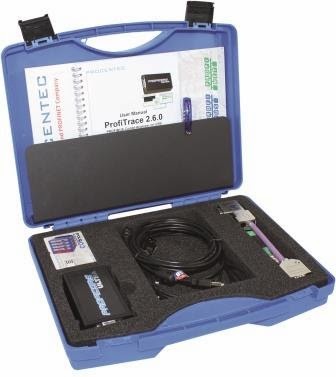 For the PROFIBUS installer, it is advised that they come on our Certified PROFIBUS Installer course and also get a hand held cable tester such as the COMSOFT NetTEST II to quickly check the cable’s integrity before commissioning.